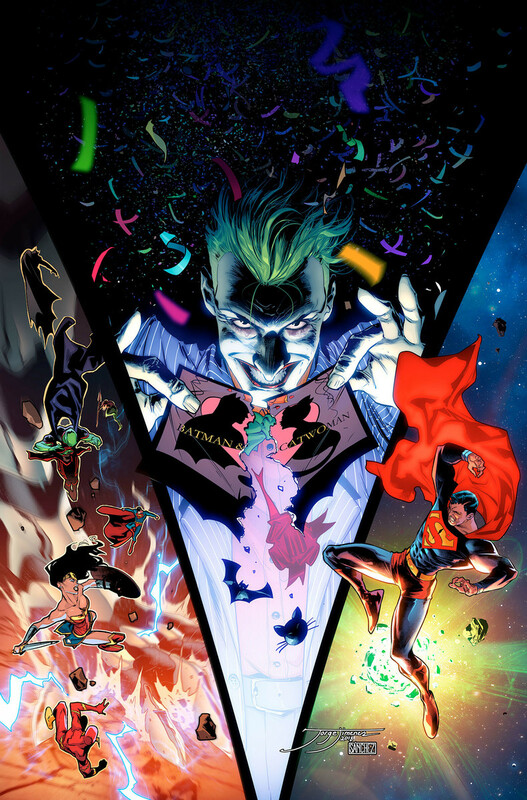 First look at Clay Mann's Joker in DC Nation #1 – AiPT! Clay Mann draws one eerie-looking Joker. Both Superman and Wonder Woman have given Batman their blessings regarding his upcoming marriage to Catwoman (set to take place in Batman #50). Now there’s one last character integral to the Dark Knight’s life that wants to chime in on the monumental marriage — arch-nemesis the Joker — and intuition tells us the Clown Prince of Crime won’t be as overjoyed as Batman’s two Super Friends at the news. The Joker scared me as I was writing him. Just saw how @Clay_Mann_ insanely, creepily, brilliantly drew that story. Now I’m f-----g petrified. Looks like I’ll have to keep an extra pair of Fruit of the Looms near my Batman-themed bedstand handy on Free Comic Book Day, May 5th, when DC Nation #1 hits shelves. And an extra eye patch as well. This is Julius “Left-Eye” Malone, Acerodon jubatus of the Coalition for Bat-God Purists, wishing you a cordial evening.